November 16, 2015 .Reading time 13 minutes. People often avoid the island of the sun in the winter months, preferring to bathe themselves in the sunshine and sea during the warmer months. But delving into Sicily in autumn/winter is a more authentic and rich experience. The first of November begins with All souls day, a celebration dotted with colourful traditions in which the locals dedicate themselves to honour their ancestors, mostly a religious holiday the cemeteries are beautifully decorated and chrysanthemums are sold by the truckloads on the side of the road. 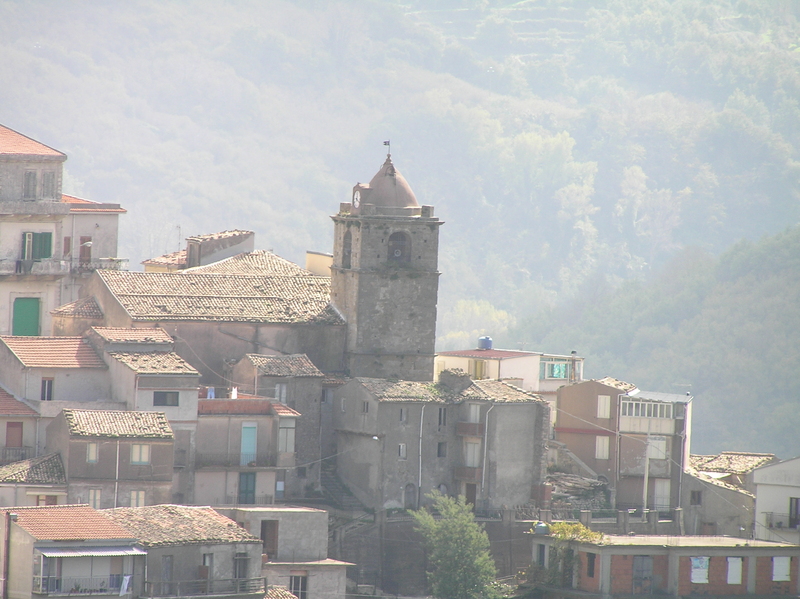 It may seem a morbid time to visit, but actually, if you are intending to do any genealogical research into any Sicilian roots, the cemeteries are filled with people and you may bump into long-lost family members visiting dearly departed relatives. November in Sicily is punctuated by warm sunny days and rainy dull ones, which never last too long. So when it does rain it’s the perfect time to dedicate yourself to the hundreds of museums, galleries and churches throughout the island. Also, the religion of food becomes the central focus of most Siculu natives at this time of year, as always. All the tourists have gone home and so at times it will feel like you have the island to yourself. It is a perfect time to dedicate to seeing the major historical attractions which are much less crowded, less expensive and infinitely more pleasant in the cooler weather (even if opening hours may change, some sites open only in the morning simply because the days are shorter). The archaeological sites are hellish in the summer months, the islands are sweaty and humid. But you can still do the usual day trips and everything has a different character when there is no crowd of tourists. Taormina in the winter is even more charming and filled with locals, there is a winter Opera performance program as rich as the summer one. While provinces like Agrigento, Syracuse and Enna are desert-like in the summer, in November they are teaming with local colour, religious celebrations, traditions and delicacies to discover. Visiting the Val dei Tempi, Val di Noto Baroque towns and the Villa Romana del Casale without busloads of tourists in town is absolute heaven. And on the first Sunday of each month entrance is free. On the 11th of November, as the saying goes, ‘Per San Martino ogni musto diventa vino’, for Saint Martin’s day all juice becomes wine. Throughout Sicily and the Italian peninsula, the patron saint of wine, San Martino’s feast day is spent tasting the vino novello and eating roasted chestnuts. According to the legend, San Martino helped a poor drunkard and consequently his feast day is celebrated freely by all lovers of wine. Bizarrely he is also the patron saint of cornuti or cuckolded husbands and wives. Saint Martin was an early Christian martyr, a Roman soldier converted to Christianity by a unique encounter with God. The most famous story from his life occurred during a harsh winter when arriving in a small town after finishing his military duties he met a destitute man dying of cold. Others had simply passed him by, but Saint Martin wanted to help the needy man. Martin was poor himself. The only possession he had was a cape which he used to shield himself from the cold. The saint gave the cape to the impoverished man and continued his journey, partially unclothed. Later during the night, Saint Martin dreamt of the man whom he had helped and recognised the man as God in disguise, who was testing him. From that moment Saint Martin promised God that he would lay down his sword to follow a religious life. Soon after, he left the army to be baptised a Christian and spent the rest of his life helping poverty-stricken people. Saint Martin’s service the poor man also led to his first official miracle, known as the week of Saint Martin. It is a week of fine, warm weather beginning on his feast day on the 11th of November. The respite in the weather is said to have occurred in order to keep St Martin from freezing to death during his journey after he was left without his cape. Today the break from winter leads to celebrations and the consumption of new wine that this is so closely associated with this saint. The miracle of Saint Martin’s summer is a welcome reprieve during the harsh Sicilian winter. It is anticipated every year as a celebration of hope with a little decadence. With abundant food festivals dedicated to wine tasting and other local delicacies at this time of year. 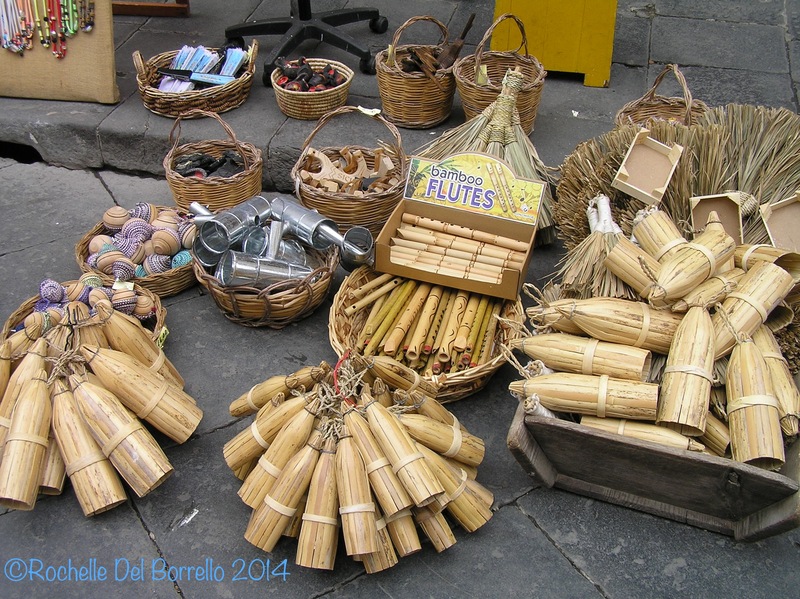 There are sagras advertised in the local press which are dedicated to products such as porcini mushrooms, porchetta (spit roasted pork), salami, pork, chestnuts, wine, grappa and at Modica in the province of Syracuse celebrates their ancient Aztec Chocolate in early December. In the lead up to Christmas, there are several re-enactment celebrations of the birth of Jesus from the bible in the form of Nativity performances and exhibitions dedicated to the ancient art of model making (Acireale/Caltagirone) and most major cities have the usual Mercatini di Natale Christmas markets. 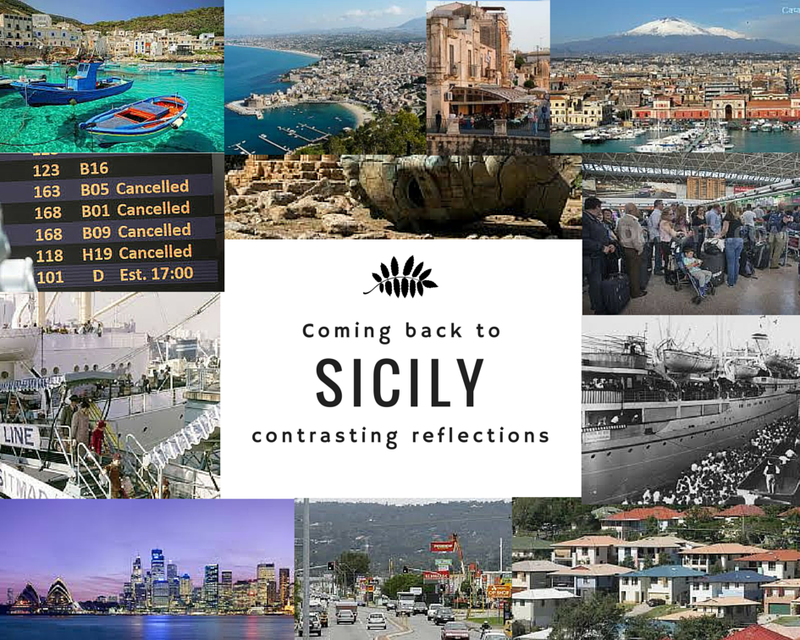 The harsh winters so common in the Sicily of last century have seemed to disappear, over the past decade, the snow comes intermittently and unexpectedly to the main cities. While the snow season on Mount Etna is usually abundant and perfect for the lovers of winter sports. With the Christmas season is around the corner, the shopping is in full swing Sicily boasts many of the largest shopping complexes in the Mediterranean. Including Sicily Fashion Village near Enna offers a special shuttle service from Palermo to offer shoppers the opportunity to shop from its discount outlet village which houses more than 100 prestigious brands and boutiques. Auchan Porte di Catania in the city centre is a dedicated space for the whole family, where relaxation, shopping and entertainment come together to give you a unique experience with 150 shops with the most glamorous brands of clothing and accessories. Further out-of-town from Catania there is Etnapolis with 120 shops, the largest shopping centre in the whole of Southern Italy and also includes a 12 screen Warner Village cinema, perfect to catch up on the latest Christmas movies (the widely popular Cinepannettone comedy genre.) I Portali is a very prestigious and spacious shopping centre in Catania which houses over 100 stores from the major Italian designer houses. The Forum Palermo is a shopping centre dedicated to luxury items featuring premium Italian and international brands, designer shops and boutiques. 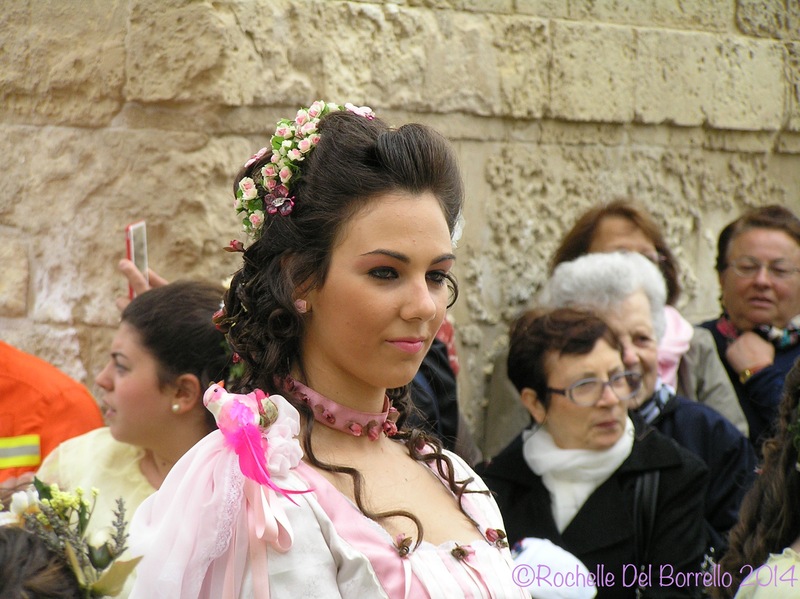 Apart from the pagan and frivolous pursuits, there are the saints who guide Sicilians through the winter with their celebrations filled with suggestive processions and preparations of local fare and colour. 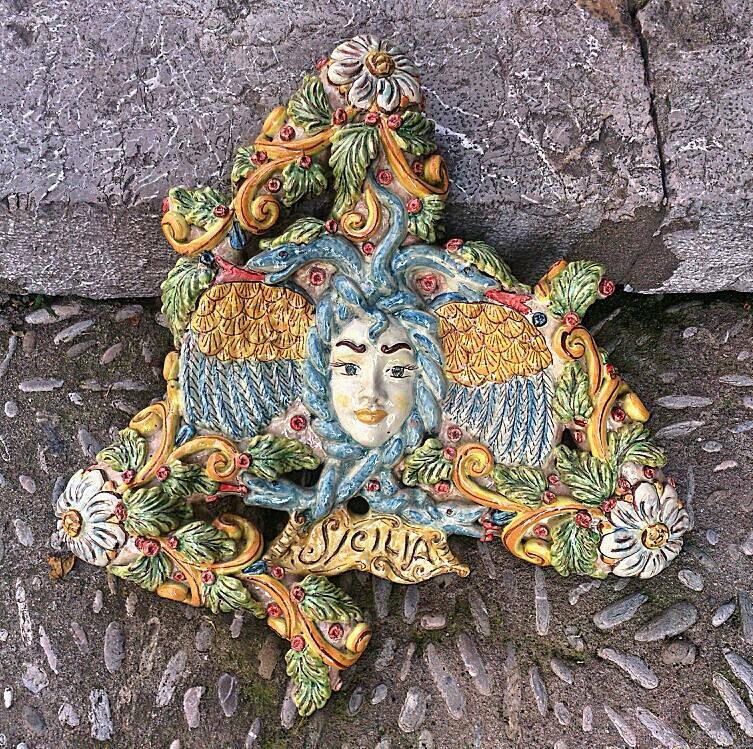 Two of the biggest Saint festivals in Sicily are Santa Lucia (Syracuse) and St Agata (Catania). Saint Lucy a virgin martyr was born in Syracuse and her relics and statue are a valuable part of the cities traditions and her feast an amazing celebration to attend. From the 13th of December to the 20th the city of Siracuse is filled with colour, fireworks, marching bands, sweets and dishes who celebrate the life and miracles of this great Sicilian saint. Saint Agata has saved Catania several times from being destroyed by the Mount Etna volcano and she is adored by the Catanese who celebrate her blessings with elaborate baroque celebrations from the 3rd to the 5th of February every year. Like St Lucy Agata was born in Sicily and is an important figure in the island’s history and mythology. Of course, Christmas celebrations or Natale is also a wonderful excuse to visit Sicily. Apart from the use of the Nativity as a form of decoration, Christmas markets and traditional folk music concerts, there is an immense dedication to a grand feast of delicacies to enjoy. Not only do Italian’s celebrate Christmas with an extensive banquet but there is also the New Years Eve Cenone which stuffs you with so much food you don’t want to eat for another year. After recovering from the festive season comes Carnevale in Italy which is an exorbitant time of the year, beginning in early February and it is a seriously big masquerade party filled with wine, fun, and jokes. Traditionally it was a kind of exorcism of decadence before the period of Lent which was forty days of fasting before Easter. The result is many elaborate celebrations, parades, floats and costumes throughout Italy. The most famous Carnival celebrations in Italy are of course Venice and Viareggio but Acireale in the province is famous for its papier-mâché artists designs and Sciaccia in the province of Agrigento is considered the most ancient Carnevale celebration in Italy. So even if winter can be a bit of a bleak time of the year in the mountain villages of Sicily. The intermittent rain and hail are interrupted by tiny specks of sunshine quickly smudged out by the billowing charcoal clouds. There are still many moments of warm decadence to make a winter visit worthwhile. During the blackbird days, the coldest days of the year, it is easy to crave the summer but there are many things to help you savour the winter. After the giornate dello merlo, the last days of January comes the Candelora which is a kind of Sicilian groundhog day. We shall watch on the second of February, if it rains the whole day through then the spring is just around the corner and if the sun shines the snow will come and bring us another forty days of winter and lead to still more sipping of warmed wine or grappa liquor, an apt way of experiencing a Sicilian winter. July 17, 2014 .Reading time less than 1 minute. Treasure trove of Prickly Pear collectors at Noto,Syracuse. Even if I dislike shopping around touristy type shops I am often surprised to find stunningly original items in amongst the tacky kitsch. Working my through I heart Sicily post cards, every possibly shaped lava sculpture, bamboo flutes and knickknacks I saw these little babies. A series of handcrafted tools used to pick those particularly prickly Sicilian fruit the ‘fica d’india’ or prickly pear. Priceless really! June 2, 2014 .Reading time less than 1 minute. I managed to get a glimpse of the metaphorical ‘Primavera’ while jostling in the crowd at the Medieval parade as part of the Infiorata festival at Noto, Syracuse but I’m afraid I’ve seen very little of her since. I wonder where she has gone?